This versatile party favor or gift box can be used to hide lots of tiny treasures. How about a piece of jewelry, a wrapped candy, or jelly beans? 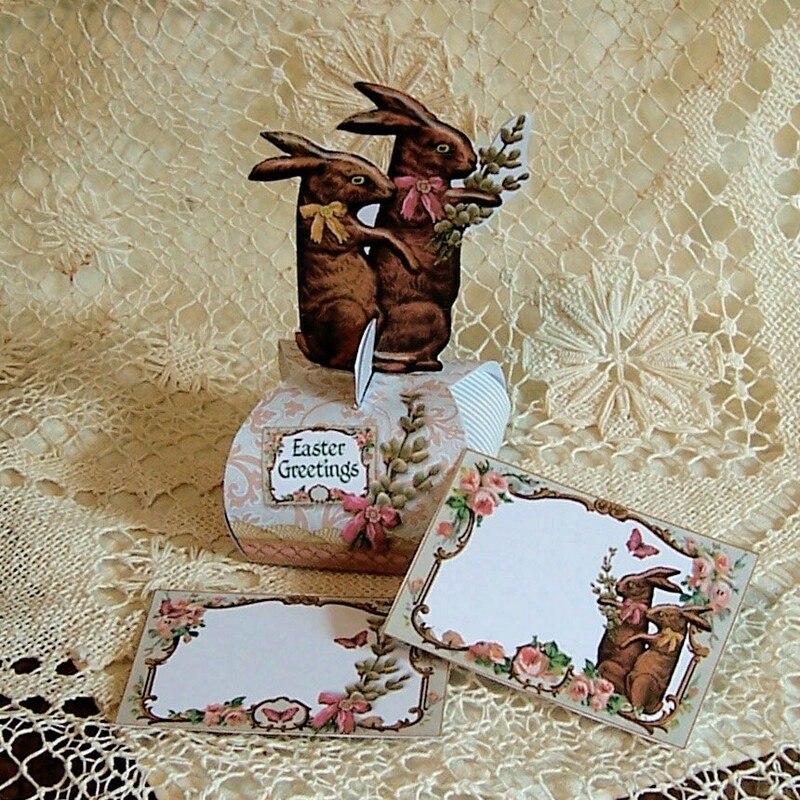 Use the matching tags as place cards at your Easter table. And remember, you don’t need to use the chocolate bunny part. If you are in a rush, use the box alone. Cupcake Topper Option: The separate bunny piece can also be used as an interesting cupcake topper! Just glue the skewer between the body pieces. Simply print out in color, cut, assemble and decorate. Size: Box is 1.5" tall x 2.25" wide at the widest point. The base measures 2" square. With bunnies, the height is 4.5" tall. NOTE: See my policies about digital downloads and printing tips. Files are zipped jpgs and pdfs and how-to's are pdfs.